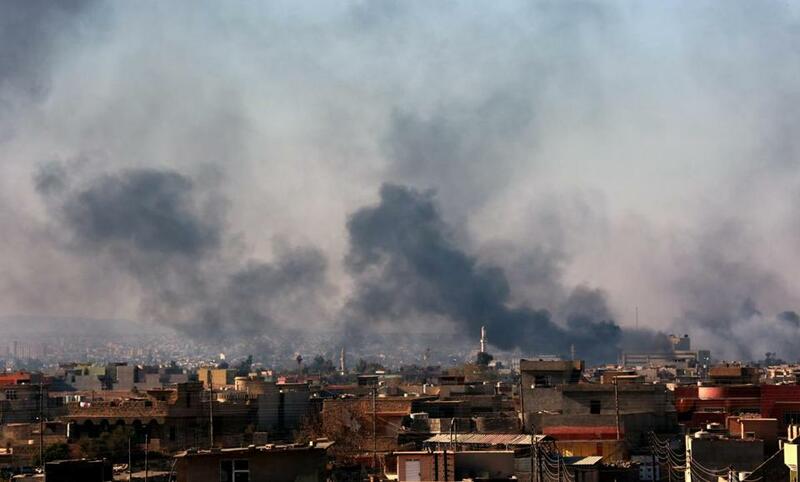 Smoke rose from the scene of clashes between Iraqi forces and Islamic State fighters (IS) in the Al-salam district, southeast of Mosul, northern Iraq. The official said it was a conservative estimate, but it’s a bit more than what others have stated before. US leaders have expressed reluctance to disclose specific numbers, and note that ISIS has been able to replace fighters rapidly, particularly early on. In August, Lieutenant General Sean MacFarland said about 45,000 combatants have been taken off the battlefields. The official says coalition airstrikes could be more aggressive in places like Mosul, where Iraqi troops are battling to retake the city, but civilian casualties are a risk. The official wasn’t authorized to discuss the matter publicly so spoke on condition of anonymity.